Today we are looking at cover versions done by Jerry Garcia not with The Grateful Dead (we did a post with “The Dead”). He really knows what to pick, he finds those songs that suits his singing/playing style. I like Grateful Dead and Jerry Garcia more and more these days. 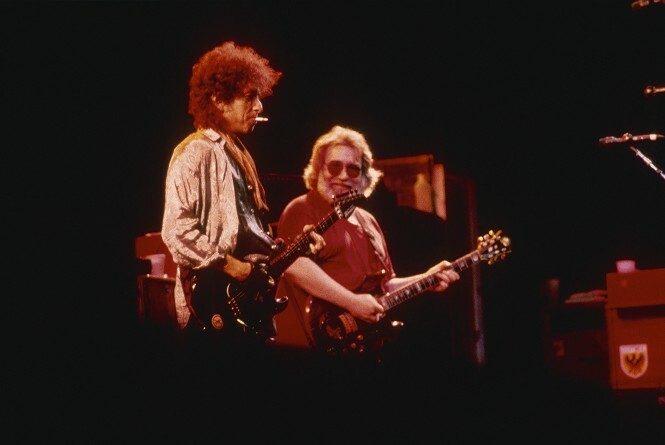 Glad that more and more fans of Dylan are discovering the magic of Jerry! I was fortunate enough (may I say blessed?) to catch alot of it between 1983-1990!! Not so sure “Forever Young” is from ’86; Jerry was still recovering from coma and I believe his first public appearance after his illness later that year was with the Grateful Dead in Oakland in december. It looks and sounds to me as if the above clip is from his stint on Broadway in ’87. In any case, great selections!!! It is always a pleasure to read about our readers experiences and views about the artists that we do posts on. 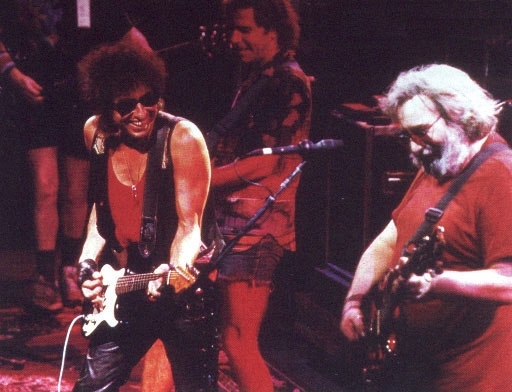 Jerry’s first shows back were with JGB at the Stone followed by the Halloween show at the Kaisers. 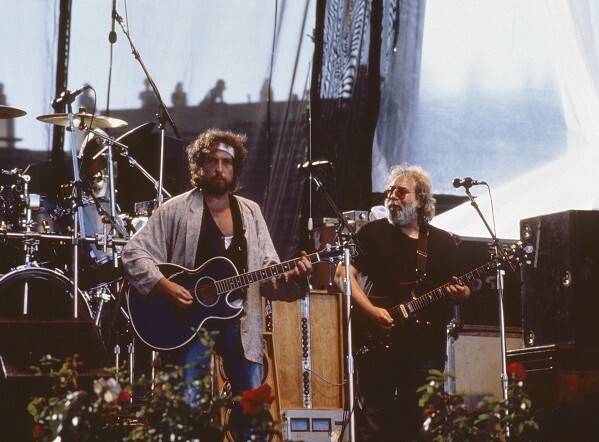 The Oakland Col. show was his first show with the Grateful Dead. The Werewolves of London from Halloween is sublime. Thanks for the tip, will definitely seek out Werewolves!